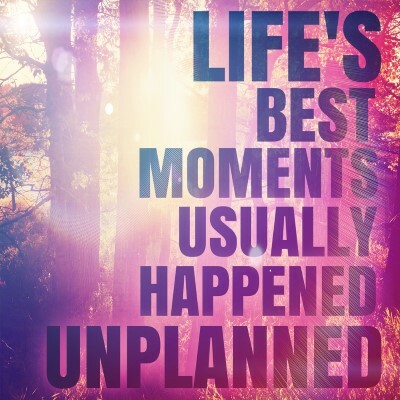 Having a baby is exciting but it can also be challenging. 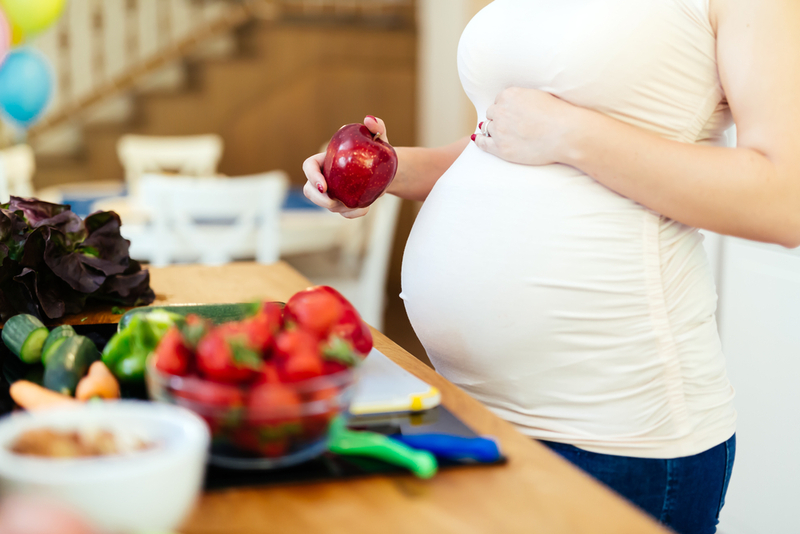 Whether you’re giving birth for the first time or its your 2nd or 3rd pregnancy, as an expectant mother, you’ll want to be eating a nutrient dense diet. This will ensure your body has everything it needs to assist with the development of your baby. Do Prenatal Vitamins come with Side-Effects? Unfortunately, our diets are often devoid of vital nutrients. Agricultural soils where fruits and vegetables are grown can lack minerals because of the use of pesticides. This simply means that even with the most comprehensive diet, you might not be getting all the nutrients you need during pregnancy. There is no doubt that the quality of a pregnant women’s diet and supplementation will affect the baby in the womb. What is ingested during pregnancy can have a profound effect on the health of the baby. 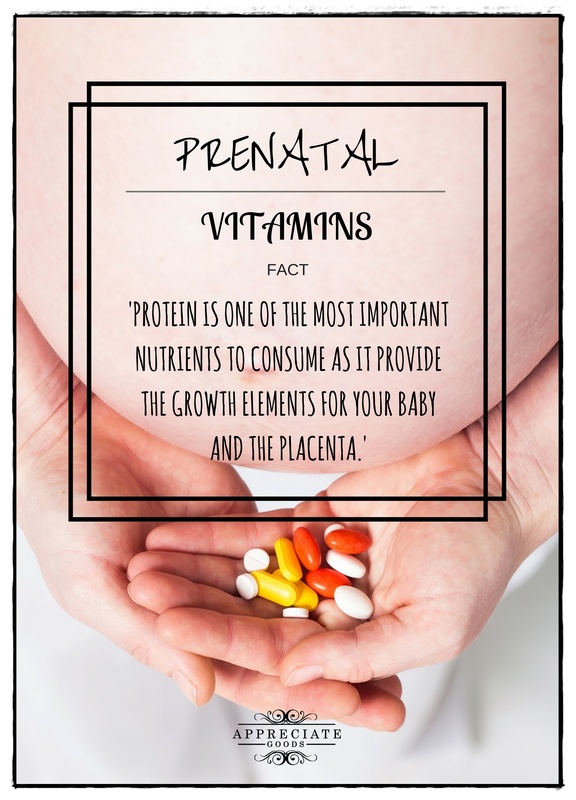 Protein is one of the most important nutrients to consume as it will provide the growth element for your baby and the placenta. Cheese, meat and eggs are all good sources of protein. Fat – it is important to remember that it is the type of fat consumed rather than the amount consumed that has health implications. Essential Fatty Acids (EFA’s) are important for the developing fetus. It is important for brain formation, and an inadequate supply can result in the baby not thriving and suffering with skin problems. Important EFAs are omega-6 oils found in nuts and seeds while omega-3 oils are found in oily fish and dark green vegetables. Carbohydrates provide the body with a source of energy. There are 2 types – ordinary sugars and complex carbohydrates. These carbs also help to balance blood sugar levels. Carbs are important as they will ease morning sickness and nausea. Your first visit to the gynecologist will be scheduled when you’re about 8 weeks pregnant. Sometimes your doctor will prescribe vitamins. They are specially-formulated to provide you with the key vitamins you might not be getting from your diet. Prenatal vitamins will boost your baby’s health in the womb and reduce its chances of inheriting allergies or more serious conditions such as asthma. There’s nothing easier for modern moms than to pop a prenatal vitamin and to have the confidence that you’re nourishing your baby. A prenatal supplement contains an important mix of vitamins and minerals which are needed in pregnancy and which you won’t get through modern diet alone. Prenatal vitamins aren’t the same as a standard multivitamin. By taking specialized prenatal vitamins, a pregnant woman can prevent disorders that could affect the baby. It’s important to read and understand the labels and recognize terms such as RDA and UL. RDA: this stands for Recommended Dietary Allowance and tells you what amounts of nutrients you need to maintain good health. The RDA has been given for a reason, and not abiding by the dosage will lead to side effects. UL:Tolerable Upper Intake Levels – this represents the highest amount of a vitamin a person can take without experiencing harmful effects. If you do suffer any nausea, it’s more likely compounded by the pregnancy. If you experience nausea, try taking the capsules with food. 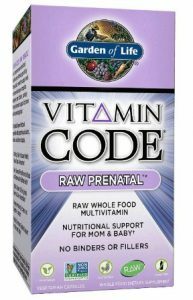 Before you use a prenatal vitamin, make sure you aren’t allergic to any of the ingredients listed on the pack. Some may contain retinol, a vitamin A derivative. Vitamin A comes from two sources – retinoids which come from animal sources and which includes retinol. The other group known as carotenoids comes from plants and includes beta-carotene which is the best choice as it doesn’t build up in the body. Take your prenatal vitamins precisely as prescribed. Taking too many of certain vitamins can actually harm you or your baby, especially because of some vitamins that are stored in the body. Iron for instance, is a good ingredient and it supports the baby’s growth and development as well as preventing anemia. If however, you have iron metabolism problems, you want to avoid a supplement with higher levels of iron. Too much iron can cause constipation. If you’re not deficient in iron, it would be wise to simply switch to a brand that doesn’t contain iron. keeps you less likely to battle with frequent colds, tiredness and easy bruising – vitamin C in the prenatal vitamin contributes to helping with this. Vitamin A: this vitamin is essential for fetal growth and development. Get the right type of vitamin A. Vitamin A comes in several forms, but the preferred form is beta carotene. The other form, retinol can lead to vitamin A toxicity and cause birth defects. The supplement you choose should contain low doses of vitamin A – in fact not more than 5mg, and in a beta carotene form. Beta-carotene is an antioxidant which protects the body from free radicals which damage cells through oxidation. During pregnancy and later with breastfeeding, vitamin A plays a role in the healthy development of the fetus. Folic Acid is a B-vitamin which reduces neural tube defects such as spina bifida. Take 400mg a day, more so in the first 12 weeks of pregnancy. Birth defects occur within the first weeks of pregnancy. This is when it is important to have folate – when your baby’s brain and spinal cord are developing. Iron-deficiency anemia is common in pregnancy. The amount of blood in your body increases during pregnancy and your body requires more iron to make more hemoglobin for the extra blood. Iron deficiency is a common reason for nutritional anemia, but folate deficiency is also very common. If you’re pregnant its important to get enough folic acid, the synthetic form of vitamin B9, also known as folate. Folic acid can also reduce your risk of pregnancy complications such as pre-eclampsia. This is a condition that can develop with pregnant women where the blood pressure rises. There is also a high level of protein in the urine and swelling in the feet, legs, and hands. If left undiagnosed, eclampsia can occur, a serious condition that can put both mother and baby at risk because seizures can occur. Calcium – develops the baby’s bones and teeth as well as a healthy heart. For the mother, 1 200mg of calcium is needed per day. Vitamin D and magnesium are necessary for the absorption of calcium, so its important to see that all three are included in your prenatal supplement. Vitamin D – this fat-soluble vitamin is important for helping the body absorb calcium and phosphorus. If you don’t get enough vitamin D during pregnancy, your baby might be at risk for delayed physical development. Vitamin B6 – known as pyridoxine, B6 is important to your baby’s developing brain and nervous system. Vitamin B6 can also help with relieving nausea and vomiting. A pregnant woman will need 1.9 milligrams each day. (Safety Warning – Before you start with any prenatal supplements, no matter how natural they are – ask your doctor before using them. Never use any product if the safety seal stating that the product is ‘sealed for your protection’ is damaged). This prenatal vitamin is made by MegaFood, a large manufacturer of health products and supplements. 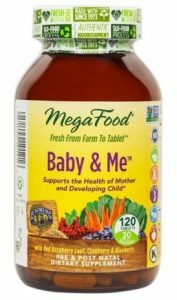 MegaFood wants to improve the lives of pregnant women through the creation of these quality, all-natural supplements. They believe that ‘it’s all about real’, providing nutrients which are whole-food derived and which are also affordable. These vitamins are gentle and easy-to-digest with nutrients derived from whole foods and with no fillers. complete multivitamin blend. You’ll find it packed full of ingredients to meet the needs of pregnant women. It consists of vitamin A, B2, B6, B12, C, D3, E, K, biotin, iron, folate and much more. This prenatal blend also has carefully selected herbs- and plant-based nutrients such as ginger- and dandelion root and chamomile flower. This supplement meets all the nutritional demands of pregnancy. This prenatal blend also has carefully selected herbs- and plant-based nutrients such as ginger- and dandelion root and chamomile flower. This supplement meets all the nutritional demands of pregnancy. A prenatal vitamin with DHA. One A Day is manufactured by Bayer, a huge, renowned pharmaceutical company who manufactures prescription medicines as well as over-the-counter supplements. This supplement has the correct doses of folic acid, iron and DHA among others. It covers all the bases and works gently to ensure good health for both mom and baby throughout pregnancy. The name may be a little bit misleading. 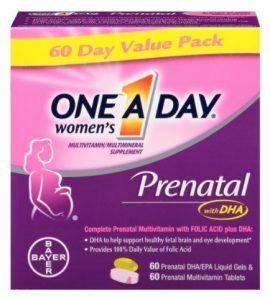 ‘One a Day’ is actually 2 separate capsules – a multivitamin and an omega-3 capsule. An excellent supplement which supports the health of mother and child. Garden of Life is a large manufacturer of health foods and health supplements with whole-food ingredients. 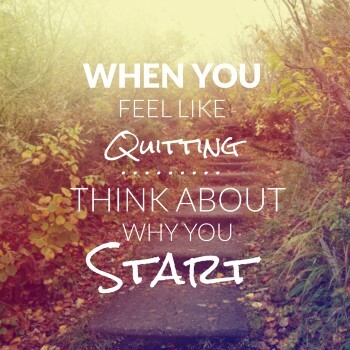 They use organic, whole-food based ingredients in their nutritional supplements. A supplement which covers all the basics of prenatal health. Designed to meet the unique needs of pre-conception, pregnancy and lactation. 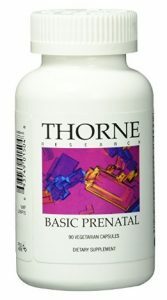 Thorne Research is the manufacturer of this simple, effective prenatal vitamin. They are certainly not new to the supplement industry and have more than 3 decades of experience behind them. They are dedicated to providing products which contribute to better health. Since 1984, Thorne Research has been providing research-based premium nutritional supplements. 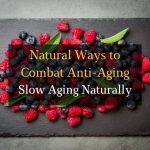 Its worth knowing that Thorne Research is the only nutritional supplement manufacturer authorized to include health and lifestyle content on its website that has been authored by the Mayo Clinic. Their products don’t contain Genetically Modified Organisms (GMOs), fillers or coatings which could hamper absorption. Mothers-to-be love this effective product which covers all the bases. It’s a complete multivitamin with plenty of pregnancy-grade iron, folate, and calcium. 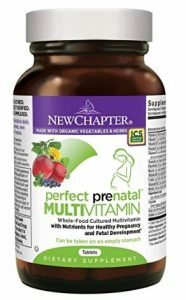 Perfect Prenatal by New Chapter, a large health food manufacturer with a focus on natural ingredients. 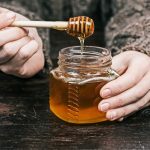 They make use of nature to produce their fantastic health products. 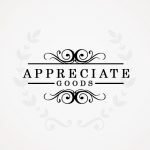 They care for the needs of their customers and the planet, using sustainable practices to produce their products. When nature is involved, you can be sure their multivitamins are gentle – they can even be used on an empty stomach. Fermented foods are highly sought after today, valued for their extraordinary digestive health benefits, and New Chapter brings fermentation to their multivitamins. Research shows that fermented preparations are far more effective for antioxidant support and to tackle inflammation. Ideally, you want to start taking prenatal vitamins before you’re pregnant just to ensure you’re the healthiest you can be. A number of vitamins and minerals in prenatal supplements are safe for when trying to conceive, during pregnancy and while breastfeeding. Some more specialized prenatal vitamins may also have other pregnancy related additives such as DHA – docosahexaenoic acid – an essential omega-3 fatty acid so essential for brain and cardiovascular health. 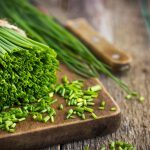 There are many women who are vegan or vegetarian and they look for options that cater for this choice. Quite a few vitamin supplement manufacturers use animal gelatin which disqualifies it as a vegan option. There are however organic and true vegetarian choices where the ingredients are natural and derived from organic fruits and vegetables. Prenatal vitamins can come in different forms – mostly capsules but they’re also available in liquid form. Whatever you choose, always follow the instructions provided on the label so that you and your baby can enjoy maximum health – a priceless gift.